Yet we see some Muslims today neglecting sins believing that “Allah will forgive them anyway”. Yes, Allah is the Most Loving, Most Forgiving, & Most Merciful but He is also Just and Severe in His Punishments. When you sin, you ask forgiveness from Allah and He will forgive you. You commit the same sin again, then you ask for His forgiveness again. And the cycle goes on and on. But brother/sister, if you die in that state of committing sin without repenting or asking for forgiveness from Allah, what do you think will be the consequence? Subhānallah.. Earning the anger of Allah is certainly a Great Loss and you will be punished accordingly. It is not enough to just ask forgiveness. Leave the sin and repent completely and whole-heartedly. And ask Allah to keep you on the right path. Remember also that when we ask forgiveness from Allah, it is granted to us only if we are sincere. And one of the signs of being sincere is leaving the sin completely for the sake of Allah. If you ask Allah for forgiveness but you do not feel it in your heart, then brother/sister, you are doing it wrong. Reflect on your mistake and sincerely ask forgiveness from Allah. Take your Deen seriously as this is the gift that Allah gave you to achieve Jannah. The key is already in your hands, never let go of it! Praise Allah and take advantage of this Ni’ma. And know that there is nothing better than the Jannah that Allah promised for the Believers. Allahu Akbar! “And Allah does not give this Honour to anyone.” A beautiful reminder/thought we should always ponder upon. Let’s ask ourselves, Are we deserving of Jannah? If not, let’s work hard for it. In Shaa Allah. Reminder for myself before anyone else. Abu Bakr sold one of his own shops to free Bilal. Who was Bilal to Abu Bakr? Realize that some of us have more privilege than others. It’s not so much an advantage as it is a responsibility. It’s going to take so much love within this Ummah for us to realize that. Within these racial and status divides and injustices, we are one body. If we don’t feel for one another and act using our positions to benefit one another, we’re separating ourselves from our faith. One was a slave and one came from an elite household. The love between them was divine. Bound by nothing but faith. I pray we gain this sort of love for one another and put all forms of this racism and status that plague us behind us. I pray we all achieve this level of love our Sahaba had and that we’re able to feel and share our happiness and sadness as one body and one family. Act when no one is looking. Make your actions meaningful and make them count. Let this love of this world that separates us leave our hearts. How were the sahabas able to work and study at the same time? Because they were the furthest from being lazy. If they had a chance to work they would work. How come we are failing today and they were successful in their endeavours? He was a businessman and made an agreement with his Ansari partner. “I’m going to work one day, you go to the messenger (saw) and inform me of the knowledge. And the following day you will work and I will go to the messenger (saw).” So, they would alternate. Notice the hadith doesn’t say the birds stay at home, sitting in their nests, sitting with their remote control watching TV. They went out early in the morning and came back at night. They were working all day. And that is tawakkul. So the bird had to do a lot of work from morning to sunset. So when it comes to rizq you’re going to have to work like everybody else. Just because you’re a muslim don’t think you’re going to be spoon fed. When it comes to rizq in the Duniya everybody has to go out and work for it. However, there is a difference between you and the kafir (disbeliever). The kafir, all he wants is to make provision for this Duniya (world). But as a Muslim you are working in the Duniya for the aakhirah, the Duniya for you is a bridge to aakhirah. So, you have an additional effort which is your aakhirah. And that means, in order for you as a Muslim to succeed you need to do double the work than the kafir is doing. You cannot be on an equal footing. You have to put in double the work, double the time, double the effort. Because, if you don’t, seeing as you have two items on your plate, you’ll end up failing in both. So, if the system of rizq is complicated and requires a lot of time from you, the only way for you to succeed in both Duniya and aakhirah, is for you to cut off time from your entertainment, and from your sleep. You have to do what you have to do. So, as a muslim you cannot afford to waste a single moment of your life. Not a single moment. A Muslim cannot afford to waste any time. Because the clock is ticking and for you it’s a count down. A man would cry for 20 years, while his wife would not know. 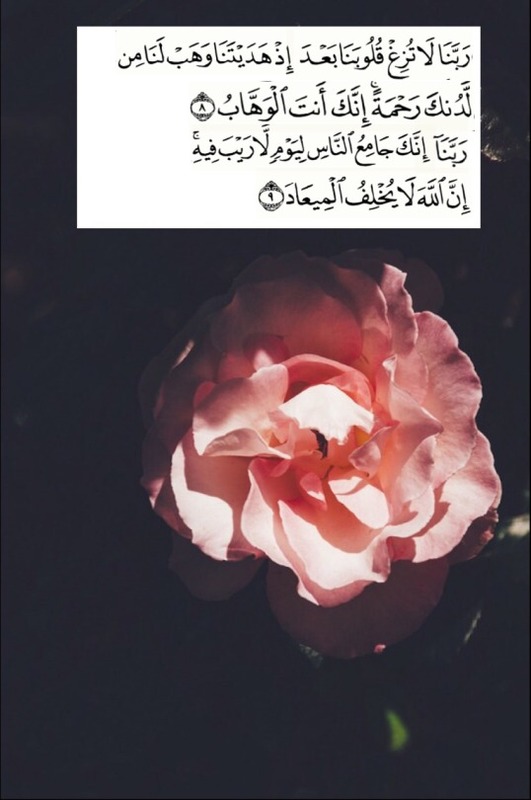 Ayyub was such that a hadeeth would be narrated to him, which would soften his heart and cause his eyes to shed tears. A man would be sitting in a gathering, and tears would come to his eyes. He would try to hold them in, but if he felt that he would be unable to, he would stand and leave. (Al-Zuhd by Imam Ahmad). A man would cry for 20 years, while his wife would not know. (Hilyat al-Awliya). I came across men; one of them, his head would be on the same pillow as his wife’s head; and what is under his cheek would become soaked with his tears, whilst his wife would be unaware. I came across men; one of them would stand in the first row (in prayer), his tears would be flowing down his cheeks, and the person standing next to him would be unaware. Someone told me that Abu as-Saliel used to narrate or read narrations. When he started to cry, he pretended to laugh. (Al Ikhlaas wan-niyyah by Imam Abu Bakr Ibn Abi Dunya). What Our Salaf Cried For? What Our Salaf Cried For?? Ponder !! عن أبي بكر بن عياش قال : رأيت أبا إسحاق السبيعي يبكي. فقلت : يا أبا إسحاق ما يبكيك ؟! استطيع أن أصلي (قائمًا) إلا بالبقرة وآل عمران. This way no one transgresses upon anyone else. make the one who is the same age as him like his brother. to he who is the same age as him with a view of equality. Imām Mālik was teaching his class in Masjid An-Nabawī and when he teached a ḥadīth, he always mentioned the entire chain of narration. And one day he saw a boy playing with a straw whilst he was teaching. He continued teaching until the end of the lesson before approaching the young boy. The boy told Imām Mālik that he was not playing with the straw but instead, he was using his saliva to make notes as he did not have have enough money for pen and paper. Imām Mālik tested the boy and he was able to narrate every single ḥadīth with the chain of narration. This boy, was Imām Shāfi’ī.